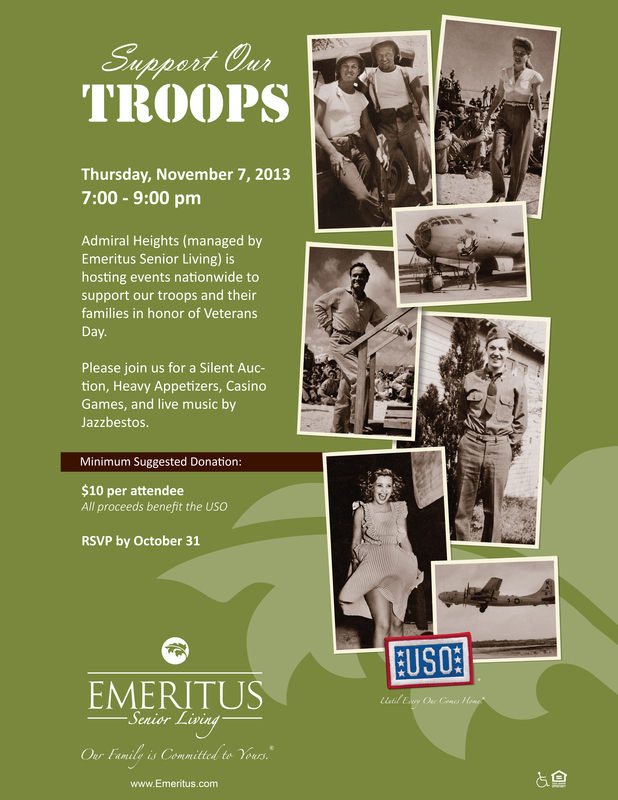 Emeritus (formely Merrill Gardens) will be hosting a USO night on Nov. 7th. from 7PM to 9PM. Please try to RSVP by Oct. 31st, 2013. You still should be able to get in the night of the event. The phone number is 206-938-3964. There is a $10.00 per person entry fee. All the money raised will go to the USO. There will be drawings, slient actions, casino games, heavy appetizers, refreshments and live music by Jazzbestos.